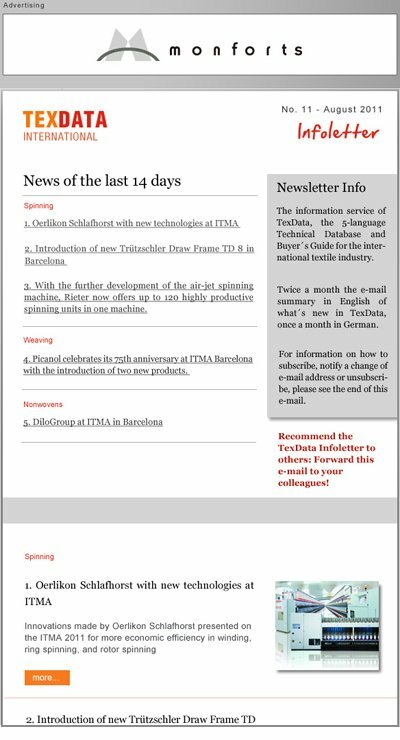 The TexData Infoletter informs people of the textile business since 1999 and is the TexData product of best international reputation. It brings all textile news every week directly in the mailbox of our readers. 48-52 issues a year.